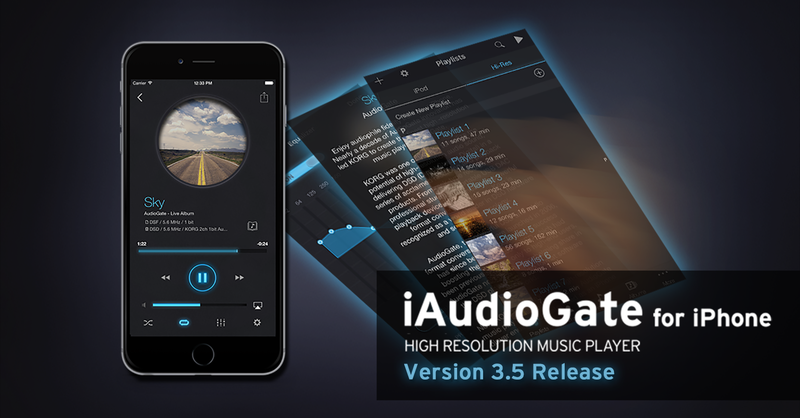 iAudioGate now supports lyric display and the creation of your own playlists. You can create a playlist that mixes songs with various file formats. Currently, there is a special summer sale for Korg music production applications & all software products including iAudioGate. 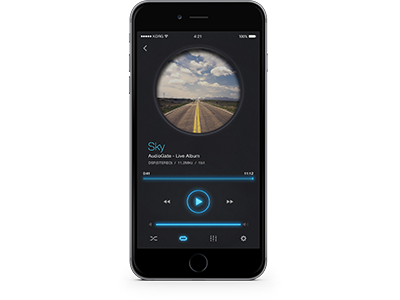 Don’t miss this opportunity to get this ever evolving Hi-Res music player for your iPhone - or get your friends sharing what you already know about! - Added: creating playlists. You can create playlists in the Playlists tab of the Hi-Res library. - Added: display lyrics. The lyrics icon is displayed on the playback screen when the song has lyrics metadata. - Improved: SNS posting function extended. now supports SNS post function not only for Facebook, Twitter, but also for various applications that support iOS share function. - Improved: swipe gesture in player view. Now supports Return To The Song List when you swipe player view. - Improved: accelerate search operation. Open the Playlists tab of the Hi-Res library, and tap [Create New Playlist] and enter playlist name to create. Swipe the song list to the left and open the menu. Select [Add to a Playlist] in the menu and then select a playlist or create a new playlist.